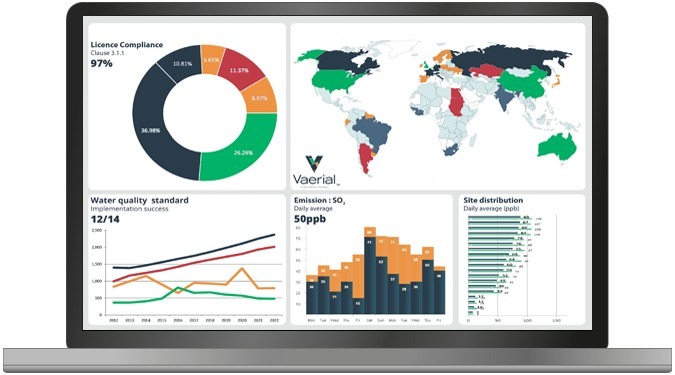 Vaerial is the key integration point for compliance data, reporting and auditing at industrial operations. Visibility and Control for the environmental compliance process. The Vaerial environmental compliance system organises the compliance process at industrial operating sites. It connects environmental compliance documentation with all site data sources. A single place to manage the entire compliance process. 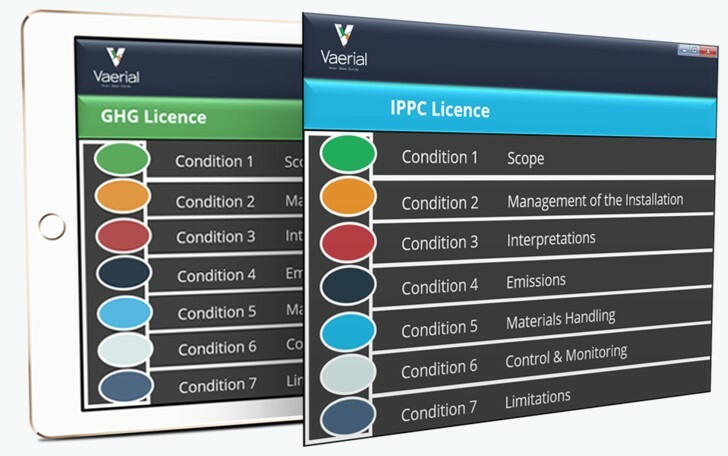 Watch Vaerial compare licences to data - always know your compliance status. 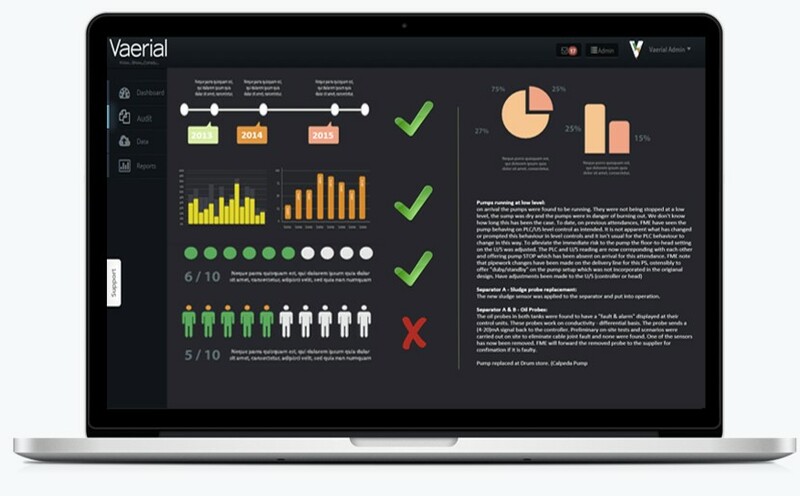 100's of separate data sources become one simple story in the Vaerial system. 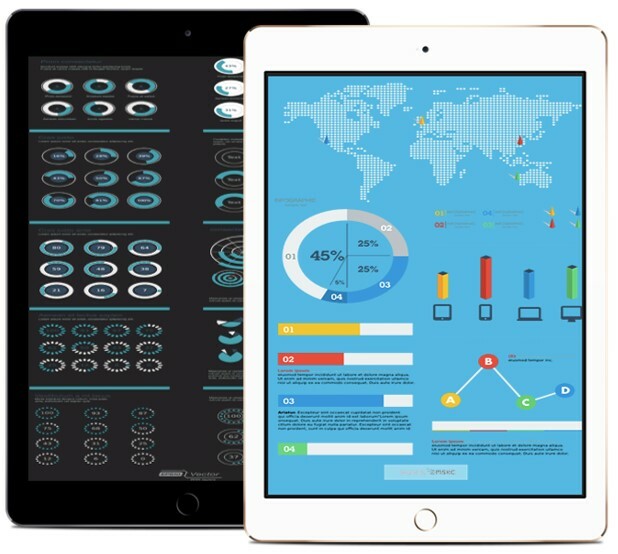 Logical, easy access to all the information auditors want to see – in one place. Reduce time collecting data and formatting – produce attractive professional reports sooner each year. All data, every document, every licence condition. All in one place, real-time and ready for use. Expert engineering using extensive environmental professional feedback makes Vaerial so useable, teams can’t resist using it every day. Industry standard design and implementation with minimal IT department demand. Vaerial surpasses regulator’s requirements for compliance systems, safeguarding your site now and tomorrow. How Do You Get Vaerial? Contact Us and arrange a free demonstration of the system. After you've seen the system we'll carry out a requirements analysis to ensure that your needs are fully met. The System can be installed behind the firewall or you can have cloud access through the web. 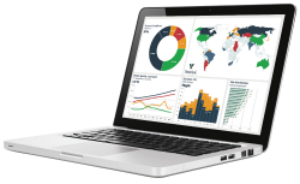 All site data can be plugged into Vaerial for a full compliance view – wherever it is. We provide ongoing support to ensure that your compliance management is always working for you. 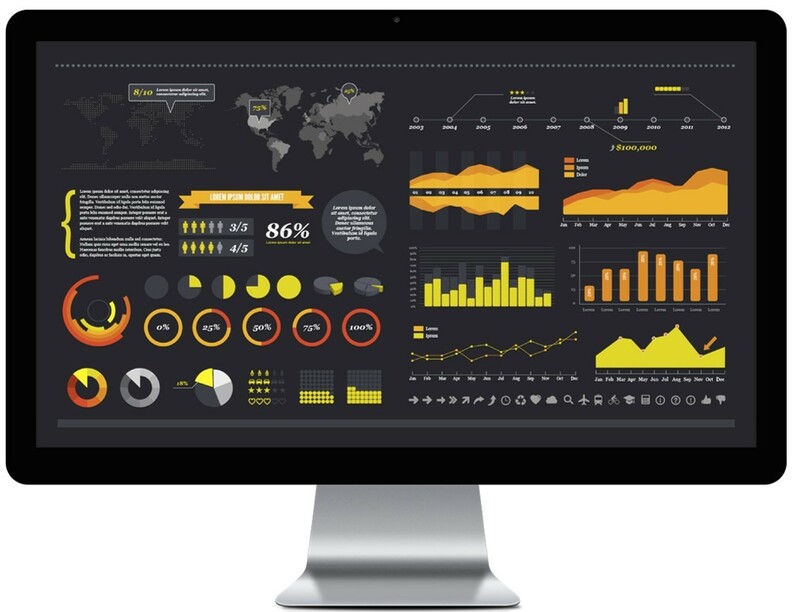 Be impressed with the level of ease that you can manage all your environmental data, audits and reporting. Find out what Vaerial can do for you. Fill out your details and we'll be in touch with further information.